United States Code Service (USCS) from LexisNexis is the most comprehensive, authoritative, current, and easy-to-use USCS Code set for your investment. The U.S. Code is the heart and soul of any legal library in the United States. If you've made the decision to purchase a U.S. Code set, it makes sense to get the most comprehensive, authoritative, current, and easy-to-use set for your investment: the United States Code Service (USCS) from LexisNexis. There is simply nothing else that approaches the value and utility that this set provides. Base your case on the winning language of the Statutes at Large, the exact language passed by Congress. 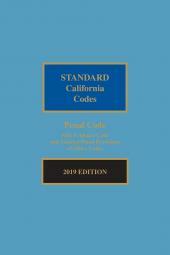 The USCS is the only U.S. Code set based on the Statutes at Large, which the courts have consistently ruled to be the controlling language when it differs from the codified statutes in the U.S. Code. See 1 USCS 204. The U.S. Supreme Court stated in Stephan v. United States, 319 U.S. 423 (1943) that "The very meaning of prima facie is that the Code cannot prevail over the Statutes at Large when the two are inconsistent." This statement has been cited consistently by the courts in years since, and a lower court decision was actually reversed by the Court in United States Nat'l. Bank v. Independent Ins. Agents of Am., 508 U.S. 439 (1993) because it used the U.S. Code instead of the Statutes at Large. When there is a discrepancy between the U.S. Code and the Statutes at Large, the Statutes at Large always wins. The comprehensive, authoritative and easy to use foundation of your law library. Your subscription to the United States Code Service from LexisNexis gives you the legal framework you need to practice successfully in any jurisdiction and field in the United States. Inside you'll find the 51 titles of the U.S. Code, the U.S. Constitution, the Federal Court Rules, selected provisions of the Code of Federal Regulations, as well as a selection of treaties and international agreements, all fully annotated by our expert staff of attorney-editors and contributors who are well-known experts in their fields. Case notes go beyond the National Reporter System, including opinions from the IRS, Social Security Administration, Consumer Product Safety Commission and more that appear in specialty reporters like CCH and BNA, and they are organized by issue to make it easier for you to find new case law. Most importantly, our attorney-editors write case notes only for decisions that offer actual interpretation, application, or construction of a Code section or Court Rule, so you'll never have to spend valuable time pouring through irrelevant case notes. Expand your research and stay current. 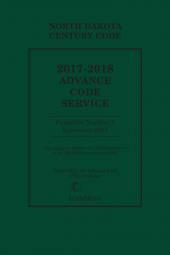 The United States Code Service also brings you superior editing, annotation, and cross-referencing to a host of Matthew Bender treatises to help you expand your research even further and gives you an extra edge of expertise. 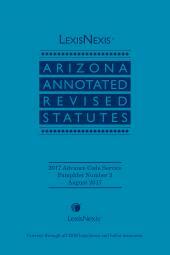 Continual updates include annual pocket parts, the USCS Cumulative Later Case and Statutory Service, published three times annually, and monthly advance service pamphlets containing the latest federal public laws, court rules, presidential documents, and administrative regulations. When you subscribe to the United States Code Service (USCS) from LexisNexis, you can be confident that you're building your practice on a solid foundation. No other code set -- including the USCA -- offers such outstanding value. The USCS is also available online at Lexis Advance for further legal research options.